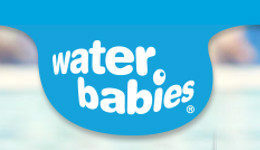 Water Babies is all about baby swimming and baby can start swimming from birth – or as soon as mum is ready. Water Babies believes that little ones have a natural affinity with water, and they possess amazing natural reflexes in water; they work with these to develop your child’s confidence and skills in the pool. Whilst Water Babies can start from newborn your child is able to join the programme at any point, starting at the level they are at. You can begin your Water Babies journey at the start of any term — and the earlier, the better! Our youngest-ever Water Baby was just 2 days old (aaah!). In their first year, a baby’s brain grows more rapidly than at any other time, so it makes sense to start early and maximise their exposure to learning experiences in a variety of environments. And what’s more, NHS guidelines say babies don’t need to have had their vaccinations before they can swim. Our Water Babies progress seamlessly through our programme, having great fun while all the time building their confidence and independence in the water. Most of our toddlers can swim short distances by around the age of 2, and have mastered vital skills including how to turn around and hold on and, where possible, how to clamber out. All of this is a great source of pride for you and them (and us! ), and offers fantastic safety skills should they ever fall into water. However, children lack the strength and co-ordination to swim properly until they’re 3 or 4: their little bodies just aren’t proportioned for swimming on the surface — so they won’t be learning front crawl just yet! Classes run at St Pirans School and Manor Green schools in Maidenhead and Millbrook and Chiltern Wood Schools in High Wycombe. Check on their website for current class times. Shhh... this little guy is well on his way to becoming a genius (if he isn't already) 😉 For your chance to win one of three Water Babies Tote Bags, comment below with a picture of your baby with their favourite product from our store. It could be a towel they've stuck all of their hard-earned badges on, their favourite bath toy or even their Happy Nappy that fits just right... Show us what you got! Water Babies raised over £1 million for Tommy's in 2017. Leanne is one of the thousands of women your support has helped. Leanne suffered the pain of 3 miscarriages before having baby Paisley under the care of the Tommy's National Centre for Miscarriage Research in Coventry. Leanne suffered the pain of three miscarriages before having Paisley under the care of the Tommy's National Centre for Miscarriage Research in Coventry. Why Water Babies? Teach your baby essential life saving skills, give them a head start in learning and strengthen the bond between the two of you. "I want to nominate my daughter Kirsty. My daughter suffers from a severe chronic pain disease that affects her entire body as well as causes chronic migraines. This disease took away her mobility and I've had to witness years and years of intense treatment and surgeries which have continued to fail and make her worse. However in July 2018 after suffering pre-eclampsia and having an emergency c section under anaesthetic she had my gorgeous grandson Gideon-George. She absolutely adores everything about him. She has found ways of adapting so that she can care for him, feed him, change him and bath him with support when she needs it. She never lets her disability get in the way of providing the care and giving all the love in the world and more to her son. She has wanted to start Water Babies for a while but due to surgery was unable but has put that to one side now as she wants her son to have all the experiences he possibly can." 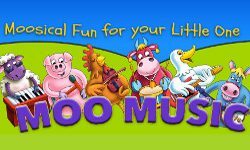 There's still time to win a free term for a friend! You have until midnight tonight to tell us about an amazing and inspirational mum that deserves a free term. Simply tell us who and why in the comments below - it doesn't matter if they currently swim with us or not. We'll pick a winner and announce it Sunday the 7th, so get in quick!